Lathe and turning are two of most important and basic technologies in CNC machining industry. We always received further inquires from global customers. Can you do this kind of part? How do you do it? What kind of technology you will use for your CNC machining projects ? Sometimes we will say lathe, sometimes we will reply turning. Actually, we always consider lathe and turning as the same thing. But from a professional point, they have some slight but key differences. Lathe has longer history than turning. Tracing the history of the manufacturing, lathe is the oldest manufacturing technology in the world. As the development of technology, CNC becomes more precision and also it has additional part of milling and sub-spindles, then we call them CNC turning. That is to say, the turning is the evolution of lathe. Turning has more capabilities than lathe. Just checking with our engineer, some machines they used to call them lathe and some machines they used to call them turning. After comparing them carefully, we found some differences. The machine we called lathe is only for turning. But for turning machine, we always use them for milling or drilling, or with sub-spindles for performing secondary operations. They are different at axes. For the lathe, why it can only do turning? Since it just has 2-axis which are X and Z axes. For the CNC machining turning, it has an extra Y-axis, so it can do milling. Different CNC machines have different functions. As a professional supplier, we have to use every machine correctly and appropriately to make the work efficiently. 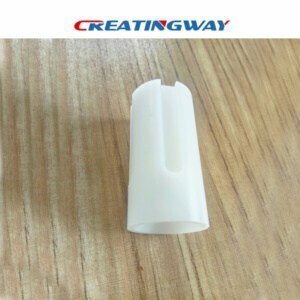 As one professional CNC machining manufacturer, Creatingway will provide you excellent services, our team will be closed work with you, reply in 8 hours, and quote you in 24 hours, easy working, professional engineering technology, excellent services, quickly delivery are our best advantage, start your new inquires now.